Businesses large and small are turning to social media to expand their customer bases and to garner attention. However, not all attention is good attention, especially when businesspeople show poor judgment. Such was the case with Amy’s Baking Company and Bakery Boutique + Bistro in Scottsdale, Arizona. 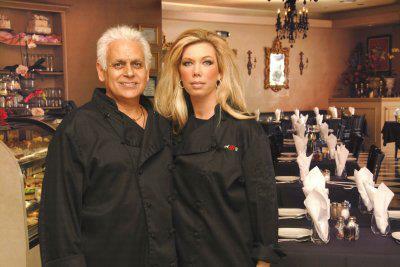 The restaurant, owned by husband and wife Samy and Amy Bouzaglo, had received negative notices on social media. Subsequently, Chef Gordon Ramsay visited the bistro to feature it on Kitchen Nightmares. During filming, he found much to criticize, and neither of the Bouzaglos took Ramsay’s criticism well. An altercation took place between the celebrity chef and the restaurant owners, and Ramsay and his crew left when Amy told Ramsay they “don’t need his help.” The show aired and resulted in an onslaught of negative posts on the restaurant’s Facebook page. You are all little punks. Nothing. you are all nothing. We are laughing at you. All of you, just fools. We have God on our side, you just have your sites. I am not stupid, all of you are. Your task. Review the discussion of social media in your textbook (Essentials of Business Communication 10e Chapter 5; Business Communication: Process and Product 8e, Chapter 8). Working in small groups, discuss what the Bouzaglos did wrong. Then rewrite the posts using positive language and bridge-building strategies. We urge you to visit the restaurant yourselves to see just how wrong Chef Ramsay was. Be sure to try Amy’s delicious desserts!! Your taste buds will thank you! It’s never easy to hear criticism and we definitely blew it with Chef Ramsay. Come judge the restaurant for yourself. We’re offering a free dessert to the first 100 who visit Amy’s within the next week! How did your students do with this exercise? Share their responses! This entry was posted in 4. Classroom Exercises and tagged social media, social media writing on September 10, 2015 by bizcombuzz.